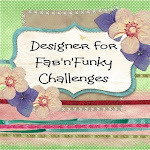 It's that time of week again, which can only mean another new challenge over at Penny's Paper Crafty. This week we would like to see your creations with 'More Than One Fold', so get out those stepper, shutter, spring and any other type of fancy fold card you can think of, andpop over and join in the fun. 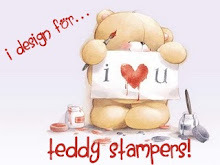 We have three fab sponsors this week, Sparkle n Sprinkle , The Stamping Boutique and Di's Digi Stamps. I have used a Stamping Boutique image on my card, coloured with my beloved ProMarkers. Lovely card! The design is fantastic, the image is well colored with the addition of the sparkled wings. Great creation. Thanks for joining the Brown Sugar Challenge. oh what a sweetie this is.....such an adorable image! Very cute! Love the vines! Thanks for joining us at Party Time Tuesdays! Cant think of anything about this card that i dont like- great fold, fab colours and gorgeous image. This is a lovely card. I really like the folds of this card. Please come back to The Cheerful Stamp Pad again soon and enter. Beautiful composition! Thank you for joining us on Craft for the Craig. Henryka DT. Great project - thanks for joining us at the Cutie Pie Challenge.